New Delhi: On the heels of the Sustainable Development Goals taking effect in 2016, The World Health Organization and The Lancet Commission on Global Surgery convened the India Surgical Forum in New Delhi on March 11, 2016. The purpose of the WHO-Lancet Commission on Global Surgery India Surgical Forum is to elevate the issues of surgical and anesthesia access in India and provide a platform through which to bring together a diverse range of change-agents in the Indian health system who can effect change. The meeting brought together a broad range of individuals across sectors including clinicians, academicians, industry, private hospitals, civil society to discuss next steps to improve surgical access in India. “The global community has come a long way in the past decade in recognizing that global health efforts must focus on building stronger health systems, rather than multiple vertical interventions designed around one disease or disease category. One third of human ailments require a surgical expertise or evaluation. We cannot build adequate health systems without a provision for surgical care,” added Dr Roy. The Lancet Commission on Global Surgery is a global partnership commissioned by the prestigious medical journal, The Lancet, and driven by over 500 Commissioners, Advisors, and Collaborators from 110 countries. It commenced in January 2014 and, in April of 2015, released its report, “Global Surgery 2030: Evidence and Solutions for Achieving Health, Welfare, and Economic Growth”. The report included several critical findings including a quantification of surgical access worldwide, highlighted deficits in the global surgical workforce, and included multiple financial models demonstrating the devastating impact of the surgical burden of disease on LMIC economies. A full copy of the report and accompanying policy briefs can be found at www.lancetglobalsurgery.org. Since the report’s release in April 2015, the Commission has been focused on moving this work forward from paper to policy. “Our core focus has been in to work with the World Health Organization in accompanying Ministries of Health interested in surgical system strengthening. Our initial implementation efforts have been limited to three countries: Cape Verde and Zambia where we work directly with the Ministries of Health), and India where we have been working primarily with the Association of Rural Surgeons of India (ARSI),”said Dr. John G Meara, co-chair of the Lancet Global Commission on Surgery. The Lancet Commission and a team from Harvard Medical School worked with ARSI to develop a limited number of achievable, India-specific solutions to alleviating the surgical and anesthesia crisis. This process, which took place largely over the fall of 2015, culminated in a 10-point consensus statement between The Lancet Commission and ARSI titled the Karad Consensus Statement on Surgical Systems Strengthening. The Karad Consensus Statement will be a core point of focus at the India National Surgical Forum. The WHO has been a key partner in the process and is potentially looking to use the model for surgical system strengthening in India as an example for other nations. 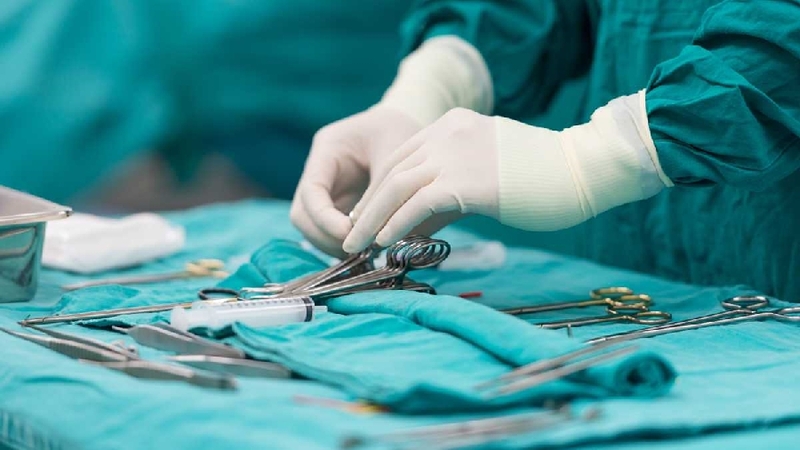 “Thus far, there has been broad interest across sectors to advance this critical, long overdue issue,” said Dr Walt Johnson, who heads the Global Initiative for Emergency and Essential Surgical Care at the WHO. “Surgery is a neglected but important component of primary health care and in rural communities especially there is a need to ensure that low cost, safe and timely care is available for those that need it,” said Dr Robyn Norton, Principal Director of The George Institute for Global Health, adding that the issue of access to surgical care at the primary health level was of critical importance to strengthening health care delivery. According to Dr Roy, there are some very simple fixes that cost little to no money, highlighted in the Karad Consensus Statement, that can really optimize the system while we implement longer-term solutions. “We need to act on these things now,” he said.